The data on this website is for informational purposes only. Our website contains legal general information. This information is not a recommendation, a reference, an offer or instigation for the purchase, trading or any other transactions with NELSON Worldwide AG guaranties. All information on our website is provided in its present condition without any representations or warranties, reflections or suggestions as to the exactness or comprehensiveness and disclaim any liability for the use of this site or any site linked to it. This website is the property of NELSON Worldwide AG and may be changed by owner at any time without notice but owner does not undertake any responsibility to update it. Simultaneously, NELSON Worldwide AG tries to do its best for potential users of www.nelsonag.ch but it does not warrant that this website will be constantly available or available at all. We also do not warrant that the content of this website is up-to-date and non-misleading. All users of www.nelsonag.ch agree that all admissions and forms of usage of this website or any other websites linked to this site and the content of them is at their own risk. Our website includes links to other websites owned and operated by other companies, nongovernmental organizations, juridical entities and government bodies. Links on our website to these third party pages are not endorsements, recommendations or references and they are provided for users of www.nelsonag.ch only for convenience and ease of access. NELSON Worldwide AG does not express any opinion on the content of any third party pages and repudiate decidedly any responsibility for all third party information and the utilization of it. 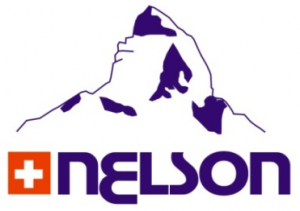 All indicated trademarks on www.nelsonag.ch are owned by or licensed to the NELSON Worldwide AG. The data on this website is for informational purposes only. Materials and information posted on this website may be printed only for your personal use. Any other kinds of reproduction, retransmission or other forms of usage are strictly prohibited. Request for permission to other forms of utilization of any information mentioned on this website has to be addressed to office@nelsonag.ch.